Frank Rivero I am validating that this deal works as described. 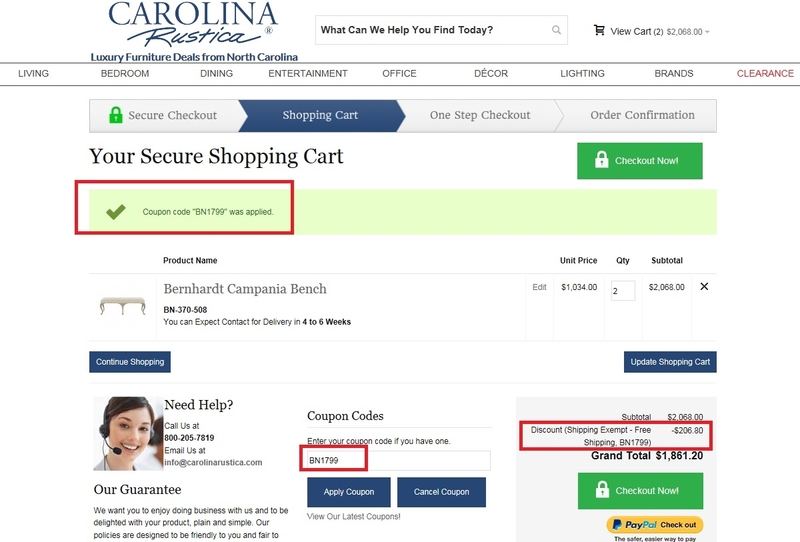 Enter code and Save 10% Off on Bernhardt Furniture Order Over $1799 at Carolina Rustica, this is a limited offer. 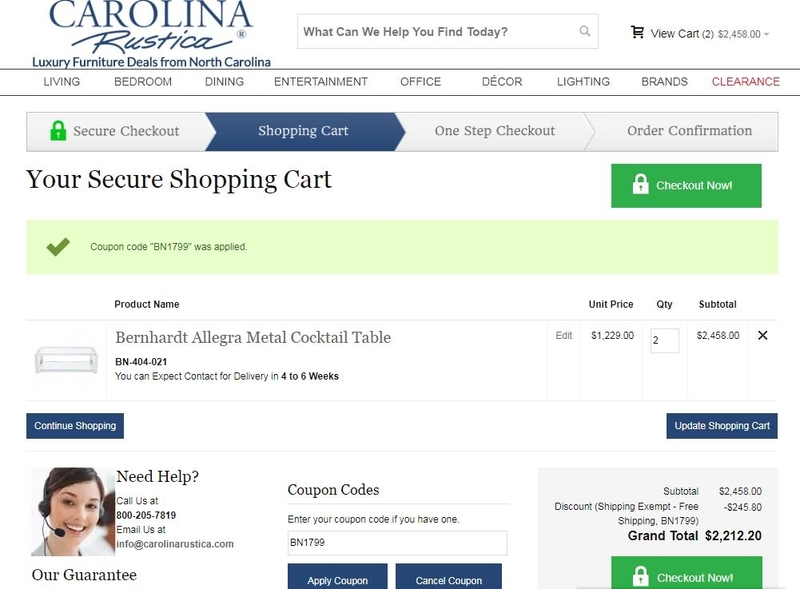 RJ Tested this promo code for Carolina Rustica and verified that it works as described. Just enter the code at check out to get 10% Off on Bernhardt Furniture Order Over $1799.